Several times in the first book of the Torah, we see the phrase (in English) “these are the generations of.” This is a translation of two words in the original Hebrew, “eila toledot” (listen to the audio version to hear this pronounced). The problem with using the English word “generations” here is that we tend to think of it as referring to the past. But in context it functions as a way to introduce the reader to the playing out of a person’s life, particularly through their children – Isaac’s in this case. Some translations, trying to convey toledot in a way most contemporary readers would understand use instead, “these are the descendants of,” but that tends to put the focus on the descendants themselves not on the one who generated them. Other translations use a more neutral, “this is the account of” or “this is the story of,” which while appropriately keeps the emphasis on the subject, misses the essence of the word, that is it’s being rooted in the bearing of children. It might sound strange to hear that the stories of these people’s lives are expressed through the generation of their children. While describing human beings as generators may seem somewhat crass, that’s a lot better than the way we are usually defined – that of being consumers. For some reason, we have no difficulty thinking of ourselves in this way. But is that why God put us on this earth? I am not saying that we don’t consume or that our needs and wants might reasonably justify producing items for us to buy. But is that what we are? Unless we grasp our God-given purpose in life, we will be defined by either our drives or the manipulative and oppressive agendas of people in power or both. And God blessed them. And God said to them, “Be fruitful and multiply and fill the earth and subdue it, and have dominion over the fish of the sea and over the birds of the heavens and over every living thing that moves on the earth” (Bereshit/Genesis 1:28). The generation of human beings to both fill and rule planet Earth is our mission, and the primary outcome of God’s blessing upon Adam and Eve. The human story therefore is first and foremost one of the bringing forth of multiple generations – not for its own sake, of course, but to extend the rule of God through his image bearers. It is no wonder that once we view ourselves as consumers, we fail to effectively generate. The world is perceived as a place of scarcity, in which we think we must diminish our capacity to reproduce in order to preserve whatever little there may be for ourselves. We don’t exist simply for ourselves, however, but to be agents through which the next generation is to emerge. Does this mean that people without children do not or cannot fulfill God’s purposes? Of course not. The generating of other human beings is a project that belongs to the whole human family. 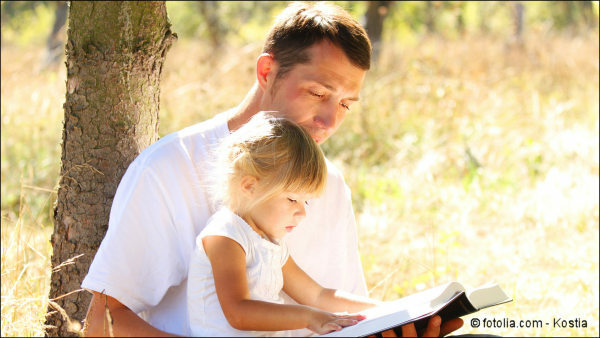 People can’t or don’t have children for all sorts of reasons, but that doesn’t mean that they have no part in the overall story of God. I am also not claiming that human generation is the only component of God’s plan and purposes. Still, disregarding its centrality in creation’s design foments a highly destructive selfishness that undermines our core identity as God’s children. You are not fundamentally a consumer; you are a generator. You have been chosen by God to live in this time of history to be a channel of blessing to this and future generations. Whether you have actual offspring or not, God wants to generate blessing through your life to others. Let your story begin! 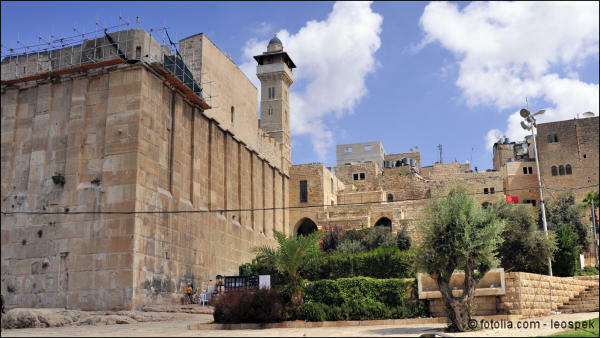 Cave of the Patriarchs in Hebron, Israel. Traditional site of Sarah’s burial plot. Recently the United Nations Educational, Scientific and Cultural Organization (UNESCO) passed a resolution which effectively denied any Jewish connection to the Temple Mount in Jerusalem. I can’t say I am surprised. But that’s not just because UNESCO, like much of the UN, is currently controlled by anti-Jewish/anti-Israeli interests. At the risk of sounding overly dramatic, since world forces are fundamentally opposed to biblical truth, we can expect little resistance to anything that undermines what the Bible teaches. But note that even Christian-dominated countries did little to nothing to oppose the resolution. But why should this matter? Should we expect something different from political entities? Probably not, but the general apathy on the part of most Christian leaders to this is still disconcerting. Again, not that I am surprised by the lack of reaction. I have come to expect it, since unless it is something that is of immediate and personal consequence, most believers don’t understand the relationship of their faith to the world in which they live. They tend to regard the spiritual world as the real world and the physical world as an illusion. But this is not how our sacred writings view God’s creation. According to Scripture, spiritual reality is worked out within the physical realm. We often hear preachers and teachers wax eloquent over the historicity of our faith; and well they should. We serve a God who has made himself known within history. The greatest lessons of Scripture are expressed through actual events. To deny this is to deny the Bible and everything it teaches. But that doesn’t only apply to the most notable happenings such as the exodus from Egypt or the resurrection of Yeshua. It applies to every historical event recorded in Scripture. Most basic of all is that God purposely staged his written revelation in the context of his unconditional promises to Abraham, Isaac, and Jacob. It’s this Jewish historical context of Scripture that defines everything the Bible teaches. To not care about this frontal attack on the essential Jewishness of the Temple Mount is to not care about the veracity of the Word of God. The ever-increasing over-spiritualization of Scripture will continue to detach otherwise well-meaning believers from effective engagement within the world where God has called us to live. That’s why this week’s parshah (Torah-reading portion) is so important for it represents the small beginnings of Abraham’s acquisition of the land promised to him by God. The account of the purchase of a burial plot for Sarah, Abraham’s wife, functions as a legal document to establish a practical ongoing connection to Abraham’s descendants through Sarah. Jewish claim to the land, therefore, is not just a story, but a historic and legal fact – a fact that will continue to be attacked. To deny this claim, like the denial of the Jewish connection to the Temple Mount, is to deny Scripture. The biblically based Jewish claim to the Land of Israel will continue to be one of the most contentious and crucial issues in our day. Followers of the Jewish Messiah cannot ignore this. The truth of Scripture and your effective service to God depends on it. The eighteenth chapter of the first book of the Bible is extraordinary in many ways. Primarily that it records a visit to the home of Abraham and Sarah by God Almighty himself accompanied by two angels. Talk about “guess who’s coming for dinner?”! This blows away the popular misconception within Judaic circles that the idea that God manifesting himself in human form is idolatrous. Forbidding the manufacturing of images is one thing, that God takes on human form from time to time, and supremely in the person of the Messiah, is another. Apples and oranges. God’s agenda for this visit appears to be twofold. First, it is to confirm his promise concerning the birth of Isaac through Sarah. Abraham already received this promise in the previous chapter at the same time as the establishment of the covenant of circumcision. The confirmation of the promise regarding Isaac recorded here may have been more for Sarah’s benefit than Abraham, which we will come back to in a second. The other purpose for this special visit is found in the following chapter, in which God reveals to Abraham the coming judgement of the cities of Sodom and Gomorrah, where his nephew Lot was residing. There is an interesting compare and contrast in the reactions of Abraham and Sarah to the two promise announcements, since both of them laughed, which became the basis of Isaac’s name. This is the sort of thing that keeps scholars employed as they discuss how these are likely two different story traditions that were both included in the final version of the book. We don’t know exactly how these accounts were passed on over time, but it’s not unreasonable to accept them at face value. That both parents laughed makes sense. That such a couple would have their first baby is pretty funny no matter how you look at it. It also makes sense that their laughter arose from completely different perspectives as they are two very different individuals. Abraham’s laughter appears to be one of astonishment. He gives no indication that such a thing wasn’t possible for God to do; only that it was completely unusual. Sarah’s laughter, on the other hand, was one of incredulity, unbelief in other words. We derive this from a combination of her statement about her elderly condition, the Lord’s response to her laughter, and her denial of it. Reading this, I don’t get the impression that the Lord has a serious issue with her reaction, but rather with her denial. God’s promise of the unexpected and the unusual, if not impossible, elicited different responses from two different people. Laughter is an emotion that doesn’t normally emerge after a long period of contemplation; it occurs in the moment. As a reaction, it reveals something about the nature of the person at that precise time. In Sarah’s case, it was unbelief. That she would deny it is understandable, especially when talking to God. But who is she kidding? Did she really think she could fool God? And yet don’t we do the same? Don’t we try to cover up when we are embarrassed and ashamed about something? Sometimes the shame of what we have done is so great, not only would we deny it to God’s face, we may even try to fool ourselves into thinking we didn’t do what we did. 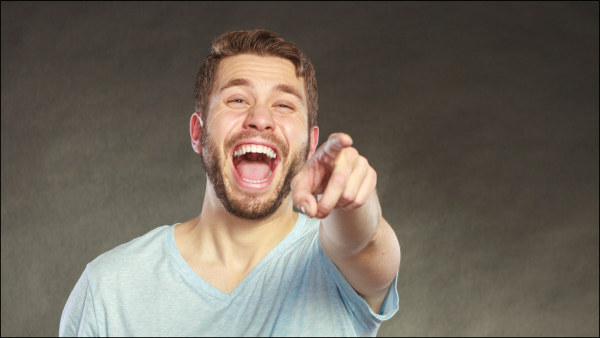 Look at God’s response to her after she said she didn’t laugh: “No, but you did laugh” (v. 15). End of scene. Did anything happen between God and Sarah on this issue after that? We don’t know. Did Sarah accept the truth of her behavior? We don’t know that either. In the way the story is presented, the reader knows the truth of the situation, and God has the final word. That’s a picture of the way life is for all of us. There is an objective truth about who we are and why we react the way we do. God, more than anyone, knows what’s going on. He will have the final word about us and our lives. We can either accept the truth and deal with it or we can keep on denying it. Against the backdrop of the dismal failure of the grand, but misguided, attempt at building the city and tower of Babel is the introduction of one of the most influential persons to have ever lived. Novice readers of the Bible might be surprised to learn that not much is known about Abraham. But the Bible isn’t a biography or a collection of biographies. There is certainly biographical material in it, but in most cases not enough to paint a full picture of any of its characters. Yet, what is written is sufficient for the purpose of Holy Scripture: that readers could truly know God and live effective godly lives. This is certainly true of the glimpses we have into the person and life of Abraham. For in him we encounter the basic model of a person of faith. And faith is the single most important component of true godliness. Without it, it is impossible to please God (see Hebrews 11:6). It was Abraham’s trust in God’s promise that put him into right relationship with God as we read: “he believed the LORD, and he counted it to him as righteousness” (Bereshit/Genesis 15:6). God told this elderly, childless man that he would have innumerable descendants, and Abraham believed him. In that moment, this one man confronted everything that had ever gone wrong in the world. Adam and Eve unleashed God’s curse upon the world, because they didn’t trust his word; Abraham opened the door to blessing for all nations, because he embraced it. Years before God called Abraham to leave family and the familiar to go to an unknown land with an unknown agenda. This set the stage for God’s grand promise that his life would yet be extraordinarily fruitful. Contrary to normal expectations, Abraham’s affirmative heart’s response to God’s astounding promise set him apart as the father of all who walk in the restorative blessing of faith (see Galatians 3:7). We shouldn’t be surprised when faith puts us at odds with the prevailing culture. Faith cuts through politically correct groupthink to rescue the broken and the lost. Those who prefer to remain in the grips of the curse will complain that the truths of faith upset their world, which of course it must do in order to break through the darkness of deception that is oppressing the masses. Faith can’t be faked. You are either a child of Abraham or not. You can try to pretend, but in the end, your true identity will be apparent for all to see. Faith can get confused, however. You can find yourself conflicted as you struggle to hear God’s voice amidst the clamor all around us. But faithful ones know the voice of God and can never completely escape its veracity. People of faith may not always like what they hear God say, but they know it’s true. That’s why they can be so unsettled until they give in to its promptings. It’s why they never fully fit in with the crowd, no matter how much they try. But why would we want to? What’s the benefit? Acceptance? Popularity? What will these things get us over time? And at what cost? Do you really want to spend your whole life being manipulated by society’s ever-changing expectations? Wouldn’t you rather be a source of positive change in the world, bringing the blessing of life wherever God may want you to go? Yes, it can hard at times. Abraham’s kids get lonely, are easily misunderstood, and suffer for our convictions. But it’s worth it. 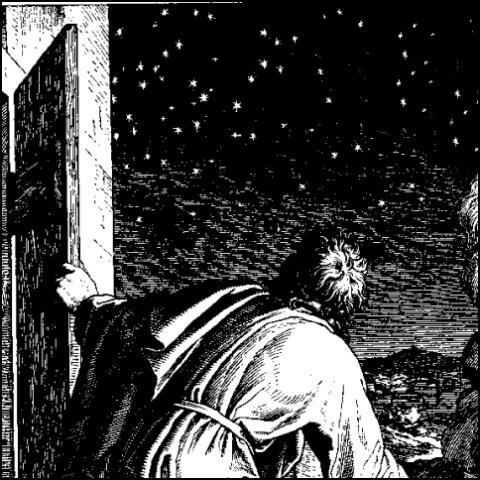 It all starts by getting our eyes off ourselves and, like Abraham, looking up toward the heavens. God is waiting for you. He wants to tell you how you, like our father Abraham, are called to be a blessing to the world. Get ready. It’ll take a miracle. But you can trust him.